With this release, Front & Follow inaugurate a new series of split cassette and download releases. The premise is that the artists are given a side apiece, and while the idea is that they’re encouraged to collaborate, it’s essentially down to the acts involved. This first ‘Blow’ release features a total of nineteen tracks, with ten from Hoofus, seven from IX Tab and a brace of joint efforts. The ten Hoofus track are first, and if the titles, in their evocations of ancient lore, mysticism and history, seem at odds with the bubbling synth cycles which form their fabric, then it’s a reflection of the infinite contradictions which define Hoofus’ enigmatic sound. Shimmering, throbbing and needling, the scratchy, fuzzy tones cover the full sonic spectrum in infinite, iridescent hues. Occasionally sliding into unusual time signatures and oddly dissonant passages – the wonky keys of ‘Twentythree Seven’ shouldn’t work, but instead it’s rather magical – their ten tracks are beautifully weird, and weirdly beautiful. The notes roll and bend, wobble and warp, layering up to form a rich latticework. The effect is to create music that transcends music, enveloping the listener in a thick, pulsating aural blanket. It’s an immersive, multisensory experience, akin to how I would imagine simultaneously being under water and watching the Arora Borealis. 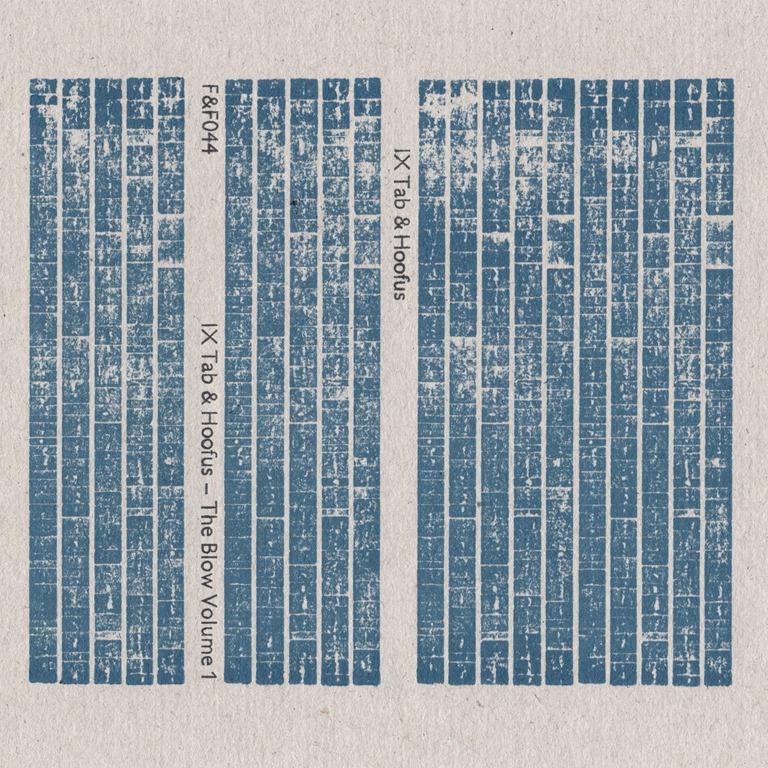 IX Tab’s eight tracks are quite different in tone: more overtly electronic, bleeping, swooshing and rippling notes scurry across one another in vintage sci-fi style. The dizzyingly hectic compositions are contrasted by sedate ambient segments. Samples – snippets of dialogue and lopped phrases – feature heavily, and there’s an overtly experimental air to the tracks. Trilling pipes and rattling chimes flit alongside woozy, opiate drones and church song. The nine-minute ‘The Herepath Comes Away’ is a magnificently expansive, atmospheric work, and something of a standout as it leads the listener on a curious journey of the mind. The two collaborative tracks, credited to Hoofus & IX Tab, work precisely because they sound like a hybrid of the two acts. ‘The Ministry of Ontological Insecurity’ features sampled voices repeating the statement ‘I don’t believe in me’ (occasionally interspersed with variants ‘I don’t believe in you / him/ her / them’) over a drifting dark ambient backdrop fractured with incidental sonic incursions. ‘The Ploughs & Machines’, which closes the album also incorporates samples and woozy electro oddness with shifting time signatures to mesmerising and disorienting effect. Individually and collectively, Hoofus and IX Tab have conjured an album that reaches for the outer limits and transports the listener to them and then beyond.